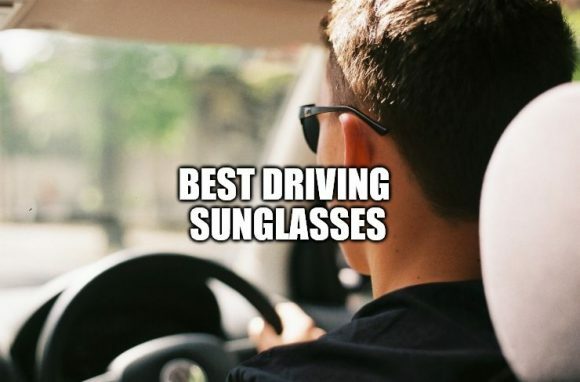 →Best Driving Sunglasses 2019: Check This Out! 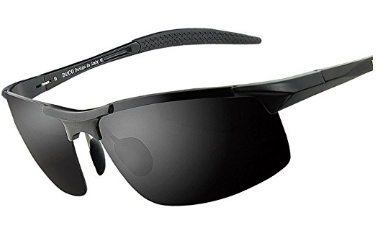 Are you also looking for the best driving sunglasses that you can use while you are on the road? Do you want to know the features that the glasses should have in order to protect your eyes against the UV rays and glare? Well, I suggest that you read this article to learn more about them. Listed below are the different types of glasses used for driving. These are glasses used for driving on a very bright day. Sometimes, the intensity of the light coming to the eyes are too much that it may be harmful for the visual health of the user. Hence, a special type of sunglasses shall be used for protection. During night time, there is little to no light sufficient for the user. It poses a hazard for the user to drive at night with him or her not seeing the way clearly. There should be a type of driving glasses that could maximize the light that would enter the eyes or make the surroundings appear brighter. Sometimes, the weather could be unpredictable. Sometimes it’s oh so bright and sunny until grey clouds roll over the sky pouring gloom over the city. Or it could be a long drive from dusk until dawn that the light coming from the sun varies. These glasses adjust according to the amount of light available for the user’s eyes. There are drivers who want to take it to the extremes. Some are race car or safari jeepney drivers. Such activities are action-packed so extra protection for the eyes are needed by the users. Some people have current visual acuity problems. Some of which are myopia (near-sightedness), hyperopia (far-sightedness), or astigmatism (the condition where the left and right eyes have a large difference of visual grades). These glasses aim to adjust the visual grade if not correct the visual problems of the user. When it concerns the light coming into the eyes, the parts of the glasses held responsible are the lenses. Daylight or sunshine driving involves a lot of light entering the eyes. 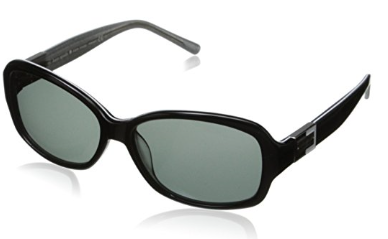 To reduce the intensity of light, the lenses should be coated with a tint or should display polarization. The tint deflects certain wavelengths of light giving rise to its color seen on the surface. Meanwhile, polarization only allows a certain orientation of light to pass through. Visible light travels on scattered electromagnetic rays. Polarized lenses have certain areas where it absorbs, reflects, and/or blocks light. Thus, the amount of light entering the eyes is efficiently reduced. Night time driving is the opposite of daylight or sunshine driving. The amount of light entering the eyes is at its minimum especially if there is only moonlight to rely on. There are high-technology night-vision glasses that could really enhance the user’s sight during night time. There are also tinted glasses, especially in warm colors, that could make an illusion that there are brighter surroundings. If the light that could enter the eyes may vary in intensity, transition glasses come into play. These glasses have lenses embedded or coated with photochromic substances such as silver halides and/or organic molecules (oxazines, naphthopyrans, etc.). At contact with ultraviolet (UV) rays present in sunlight but absent in artificial light, these photochromic substances activate making the lenses appear darker and diminish the amount of light that could enter the eyes. Prescription-driving glasses also concerns the lenses but in a different way. Instead of reflecting or blocking off the light to prevent too much intensity, it refracts or bends the light to be accommodated by the pupil. The lenses are made to be concave (inwardly curved) to correct myopia or nearsightedness. Concave lenses are thinner at the middle, so it spreads out the rays of light that passes through it. These lenses diverge light before it reaches the cornea that will, in turn, converge to the proper location at the retina. Convex (outwardly curved) lenses work the opposite way to correct hyperopia or (far-sightedness). It converges the incident ray of light so that the image will form exactly on the retina; not at the back of it. The degree of curvature defines the degree of near- or far-sightedness the lenses could correct. On the other hand, impact-driving glasses do not only involve the lenses but also the frames. Aside from the lenses being impact-resistant and shock-absorbent, so does the frame. It’s either the material used for both parts are innately durable or that the ergonomic design of the assembly distributes the shock evenly. 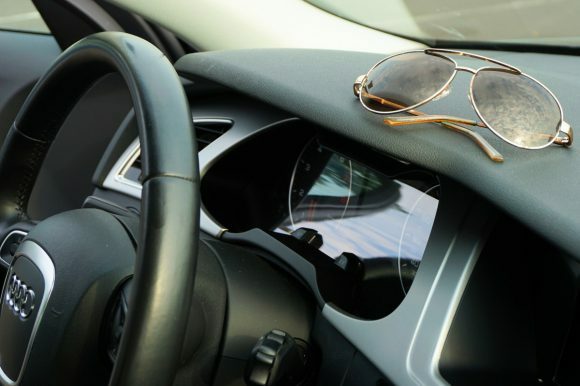 The tints used to coat the surface of the glasses should be applicable to the type of driving. If there is much light involved just like in daylight or sunshine driving, a grey tint effectively blocks most light from entering the eyes. Since it is a neutral tone, there is not much confusion on the true color of the surroundings. Polarization also plays an important part here. Night time driving is easier with yellow-colored tints since it makes the surroundings brighter. For any type of driving, brown and amber followed by red hues are good to use since these tones improves contrast and enhances sense of depth. In general, anti-reflective and anti-glare are additional properties that may help in better driving. Photochromic lenses are good to have but not that important. For people with visual problems, it is important to look for an optometrician to match their visual grade with the degree of curvature of the lenses. An adjustable nose pad would be highly recommendable if the user has varying visual grades in a short amount of time. The nose pads could be adjusted to determine the focal length and removing the lenses altogether will not be necessary. On the other hand, impact driving glasses should be made from polycarbonate (PC) material as it is known to have the greatest shock resistance. Knowing the type of glasses not only protects the user from glares but also from harmful wavelengths of radiation. Possible driving hazards could also be reduced. Also, there are many models and brands that would put too much into driving glasses. Knowing the necessary shall save the consumer from expensive cost. These shall allow them to have glasses that have a best value-for-money. 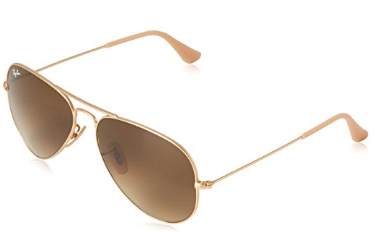 For effectiveness, quality and likeness, the lenses of Ray-Ban 3025 Aviator sunglasses are also designed with a plastic lens. The plastic lenses are the best in this scenario since the frame is made with the same specific material. For durability, the plastic lenses are encouraged since they can handle and be impact resistant. Anyhow, oversized glasses are not so much peculiar nowadays. In fact, these glasses are on trend. Moreover, the large surface area of the glasses would also mean a larger area around the eyes being covered and protected. The frames being made of acetate allows it to have properties similar to plastic frames. Acetate frames are known for its lightweight property, flexibility, durability and ability to be made and dyed into complicated designs and patters. Compared to glass, the optical property of a PC material is relatively low. Glass lenses offer 100% transmission of light but PC lenses can’t do that since the material does not have an orderly arrangement of atoms. With this, there is less light that could efficiently pass through. These PC lenses can still be polarized and allows light of a specific orientation or direction to pass through. In addition, these lenses could be tinted with brown or grey. With tints, there are certain wavelengths of light that is reflected off the surface leading to further reduction of light that meets the eyes. The frame clearly exudes a retro vibe. The variety of its colors and designs allow the user to have different styles that could reflect his/her personality through the glasses. Same goes with the lenses. The whole assembly is made mostly of plastic – a material known for its elasticity, flexibility, and other amazing properties. Just like the frame, the lenses are also made of plastic; yet, it is claimed to be impact-resistant. The available colors for the lenses complement with the color of the frame. Furthermore, plastics are corrosion-resistant unlike metals which could be oxidized by moisture and acidic perspiration. The nose pads being just an extension of the frame limits the movement of the user. With this, the user may find it uncomfortable to lay on his/her side while using the glasses. On the other hand, the lenses being polarized means making the orientation of the scattered light rays be set at only one direction. Because of this, the amount of harmful rays that may enter the eyes are reduced to such a great extent. It is made with a superlight material. The AL-MG Alloy design is ideal for motorcycle riders and cyclists. Moreover, this material is also ideal for driving, running, fishing, racing, skiing, climbing, and trekking. They can be highly useful for sports, driving and fishing. They also provide a premium protection against the sun’s harmful rays. With the 9 layer protection on top of the lenses, the eyes are effectively protected. It protects the eyes against the harmful ultraviolet rays, scattered and reflected lights. It also eliminates glare and restores clear vision for all users. This is an advantage thought well for all drivers and outdoor enthusiasts. Joopin is one of the most fashionable glasses a consumer could find in the market. What’s interesting for Joopin is the variety they involve for their brand. 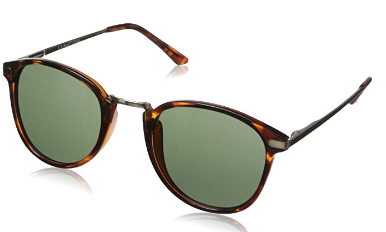 What makes these glasses unique is that the only part that is framed is the upper portion of the lenses. The lower half of the lenses are only coated with a metal-like coating thinner than that of the upper half. This gives other individuals a better view of the user’s face. Semi-rimless glasses create an illusion to balance the angular jawline of those with square faces. Same with the frames, there are also a variety of colors for the lenses. These includes blue, black, silver, brown, and grey. Despite of the difference in tint, all of the lenses are polarized. There is a filtering layer in which only rays travelling at certain direction may pass through the lenses. Because of this, glare and the intensity of light can be reduced. Thus, some of the images may be crisper in details because of the reduction in brightness. In fact, Joopin lenses are crafted to block 100% of ultraviolet (UV) radiation. Joopin glasses reduce glare and brightness of the surroundings during sunny days at a great extent. Yet, the clarity of the image viewed through the lenses are not compromised. Lab results translate to actual experience. This can definitely benefit those people who are always outside under the sun or driving on a hot day. 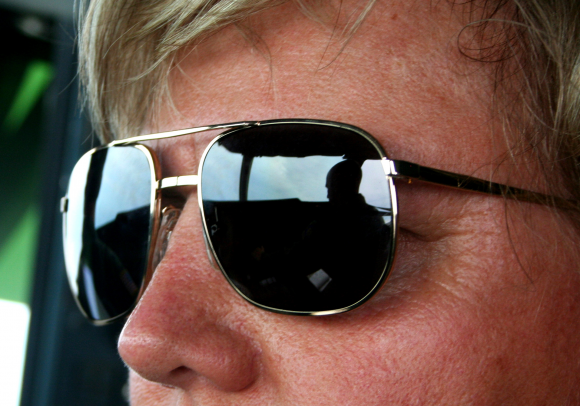 These are just some of the best driving sunglasses that you can take advantage of. Personally, I like the Rayban glasses and Joopin Sunglasses. They are just simple in design and can be worn by anyone. They are also durable enough that secures its effectiveness for a long period of time. Nevertheless, all of these sunglasses can protect the eyes while you are outdoors. So it is just a matter of personal preference on which one you will choose. I hope that you find this buyer’s guide helpful in terms of providing information about driving sunglasses. If ever you have more questions or concerns about these types of sunglasses, feel free to comment it below and I would be glad to help you. Thanks for the in-depth information about the type of glasses for driving. I do have a problem with night time driving. Firstly, the surroundings at some places leading to my home aren’t bright enough. Secondly, out on the main road, the lights from other vehicles are too glaring for my eyes. Are there one driving glasses that fix these two problems of mine? Actually, there are night driving glasses that you can take advantage of. Basically, they make the surroundings appear brighter through the lenses.